Most crackers that line our grocery store shelves are super processed, and frankly don't taste that great. Some of the so-called healthier options taste like cardboard. Who wants to eat that? As I was eating crispbread in Sweden, my baking class was making crackers in Pittsboro. So when I got home I decided to make some. 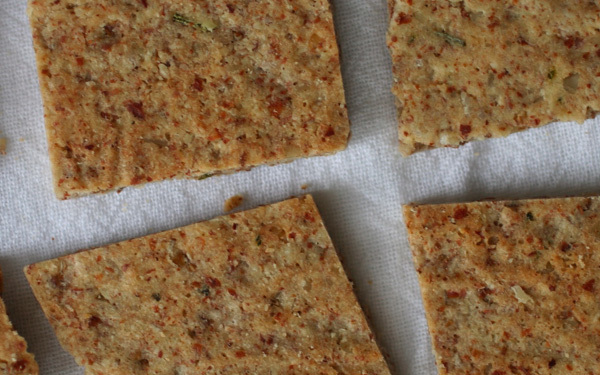 These crackers are really tasty and easy to make. They're made with real ingredients that you can pronounce. 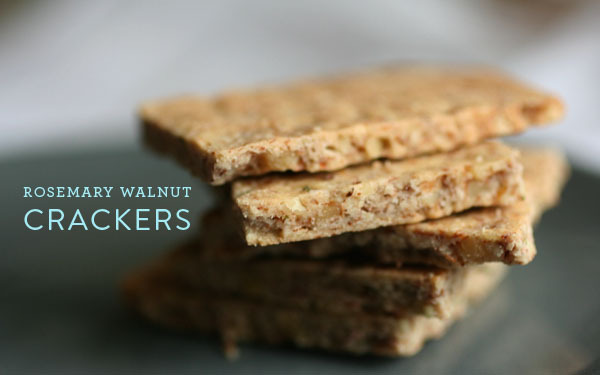 You can taste the rosemary flecked throughout the nutty cracker. The sea salt brings out the flavor. And the egg acts as a binder and helps with that crunch. 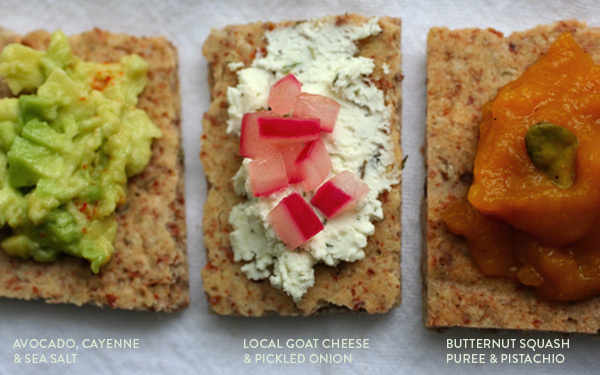 Instead of buying another box of Triscuits, impress your friends and make these instead. Then add delicious toppings and enjoy as appetizers (also makes a great afternoon snack). Chop the walnuts finely. Add to a large mixing bowl along with the almond flour, rosemary, and sea salt. Crack the egg into a small bowl and whisk. Pour egg into the dry mixture and mix well. Form into a ball of dough. Cut two sheets of parchment paper (~10-12 in wide). Put a sheet onto your counter, and then add the dough ball. Press down with your hands, flattening into a disc. Add the second sheet of parchment paper and roll out with a rolling pin. Start from the middle, pushing out toward the edges with the rolling pin, rotating as you go. Once you've reached your desired flatness (~.25 in. or less) cut into squares or rectangles with a pizza cutter. Don't move the pieces, just cut them (it's harder to cut—without breaking—once the crackers are baked). vamos a ver que tal quedan cuando los haga. Me los imagino con ricotta! excelente idea para una dieta. Homemade crackers are so much better than store bought. These look delicious! I finally made these on the weekend, and they are so incredibly scrumptious! I had to exercise restraint to avoid eating the whole pan-ful! I love how you include goat's cheese and pickled onion on one of them.